The LEED certification program is a system of credits that acts as an incentive for the construction industry to build in a greener, more sustainable way. 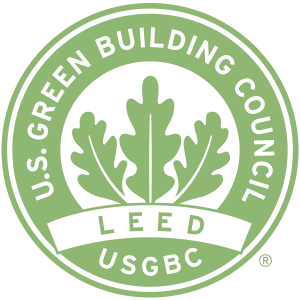 The U.S. Green Building Council launched the rating system in 1998. The Canada Green Building Council developed an adaptation of this system in 2004, tailored specifically to Canadian climates, construction practices and regulations. The rating system is organized into five environmental categories and two bonus categories for innovative design and regional differences. It offers credits and points for items such as protecting the natural habitat on a construction site, reducing energy and water use, and using materials that have less of a negative impact on the earth. In the more than 100 points available within the system, there are only about 12 (excluding Optimizing Energy Performance and Innovation credits) that could be applicable to the commercial glass and glazing industry. While we all want to show how our products are green, in many cases, LEED might not be the proper framework to use. To help understand how glass can contribute to achieving some of these points, this article provides an explanation of the main credits applicable to glazing products, in the order in which they are most asked about. © Copyright 2019 W.A. Wilson Glass Plus.